Sea, Sand & Sky: Let's Go Red Sox! 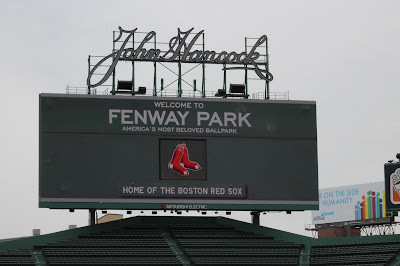 It's your Save the Harbor/ Bay blogger Anicia here to tell you all about my Red Sox Day-- let's go Boston! 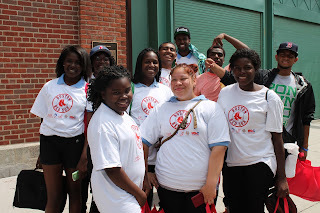 So the day at Fenway was filled with fitness, health, and adventure, and meeting new people! 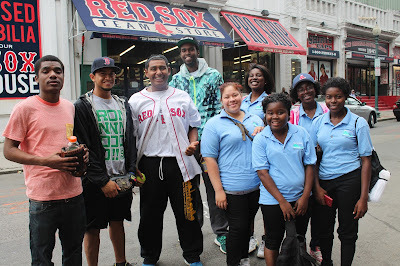 Meeting a lot of Boston youth from different teams and schools was awesome! 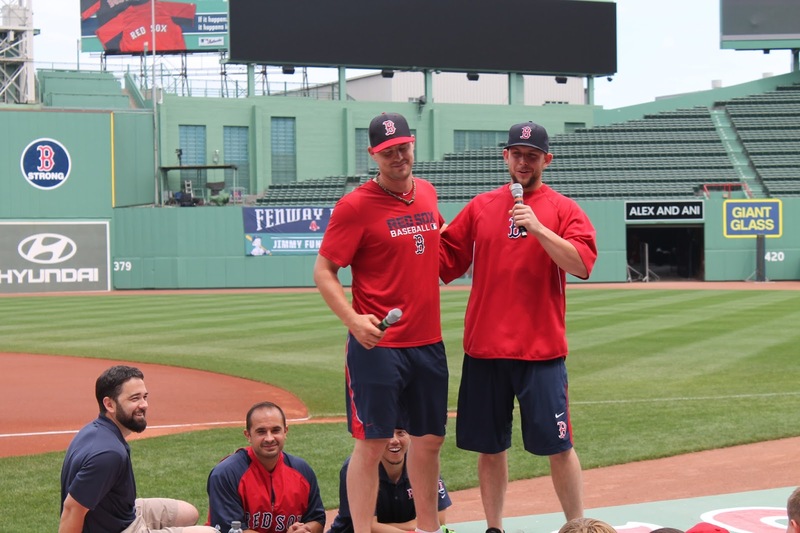 They all were energized and were all there for the same purpose as the Save the Harbor/Bay Staff... to learn ways to be and stay healthy through fitness! Save the Harbor/Bay after the day of fun! 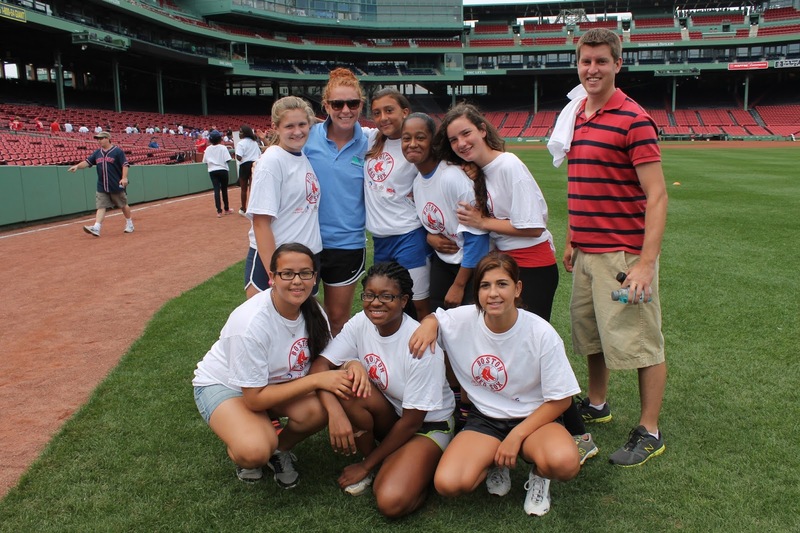 Although all of the workouts were EXHAUSTING I had tons of fun! 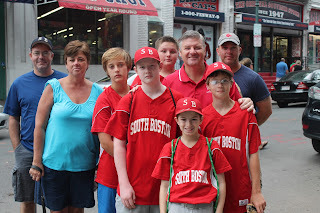 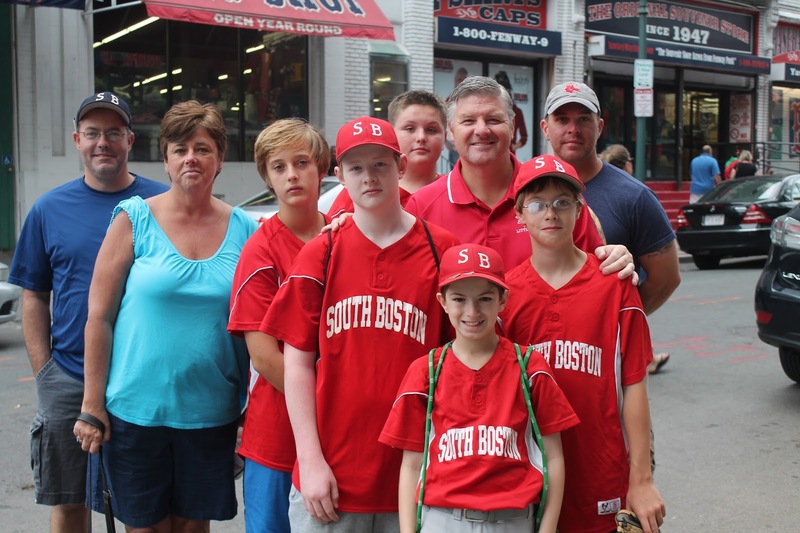 Plus as a treat we met TWO fellow players on the BOston Red Sox team-- I was so excited at that point! Thanks Fenway!